Image from Gods' Man, 1929. Copyright the Estate of Lynd Ward. 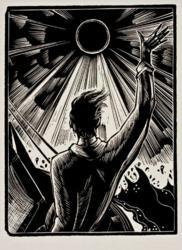 Lynd Ward's work chronicles American life in the 20th century, and demonstrates his deep personal commitment to social justice and the plight of the workingman surrounding the years of the Great Depression. 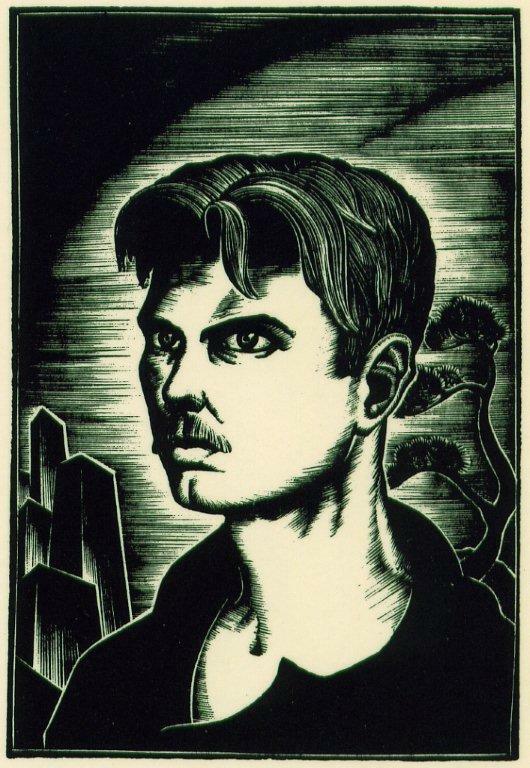 Lynd Ward is the father of the American graphic novel and one of the most prolific book illustrators and printmakers in the history of American art. 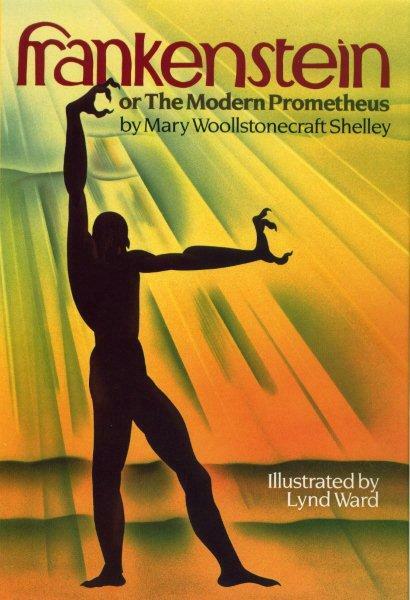 A special preview screening of 217 Films’ new documentary “O Brother Man: The Art and Life of Lynd Ward” will be held March 31 at 5:00pm at the University of Southern Maine’s Abromson Center in Portland during the Maine Reads Festival of the Book. Clips from the film can be viewed at this link: http://vimeo.com/two17films/videos. This screening will be introduced by filmmaker Michael Maglaras. Robin Ward Savage, the artist’s daughter, will be in attendance. Admission is free. Featuring more than 150 wood engravings, drawings, and illustrations by this important American artist and storyteller, the 90-minute film brings the creativity of Ward to life and illustrates his mastery of narrative without text. His work chronicles American life in the 20th century, and demonstrates his deep personal commitment to social justice and the plight of the workingman surrounding the years of the Great Depression. The world premiere of this film will be hosted by Penn State University Libraries on Friday, April 20, 2:30 p.m., in Foster Auditorium, 102 Paterno Library, University Park, Pennsylvania. This film will make its Connecticut premiere in September at the New Britain Museum of American Art. The screening schedule can be viewed at this link http://two17filmsschedule.blogspot.com/. More about Lynd Ward: Ward (1905-1985) illustrated more than 200 books and was among the foremost graphic book artists of 20th-century America. His books, prints, and artwork are held by major museums and libraries worldwide. His stories without words, such as "Song Without Words: A Book of Engravings on Wood" (1930), are precursors to the modern graphic novel and are acknowledged masterpieces of that genre. Between 1929 and 1937, Ward produced six of these books, where the storyline was told entirely through wood engravings. A special two-volume edition of these works was recently released by The Library of America -- http://www.loa.org/volume.jsp?RequestID=337. WHAT: Special preview screening of 217 Films’ new documentary: “O Brother Man: The Art and Life of Lynd Ward.” Introduced by filmmaker Michael Maglaras with the artist’s daughter, Robin Ward Savage, in attendance. COST: Admission is free. Free parking. From I-295: Take exit 6B (Forest Ave. North) and immediately move to the far left lane on Forest Ave. Turn left at that first stoplight onto Bedford St. After the Skywalk, turn left onto Surrenden St. and into the USM Parking Garage. From Brighton Avenue: Follow Brighton Ave. towards downtown until it turns into Bedford Street. Turn right onto Surrenden Street before Skywalk and into the USM Parking Garage.